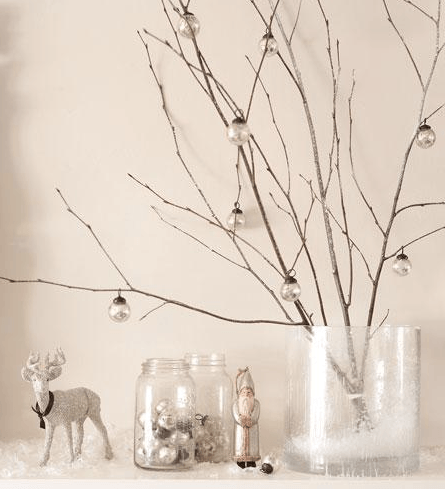 I have already covered white Christmas decorating ideas before, but here are many more ideas! 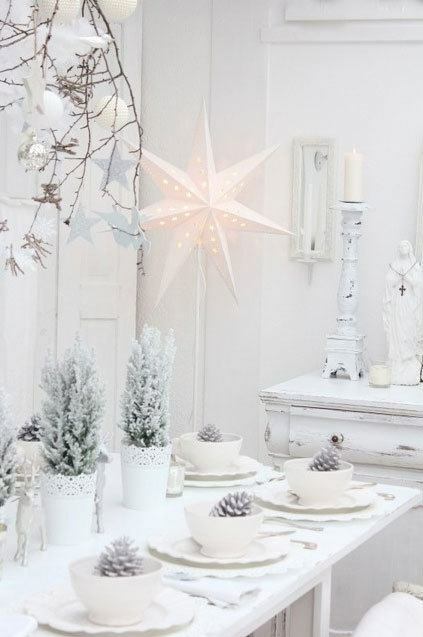 A couple of white Christmas decorations I am drooling for, and many many ideas how to get the white look for your home. Enjoy! 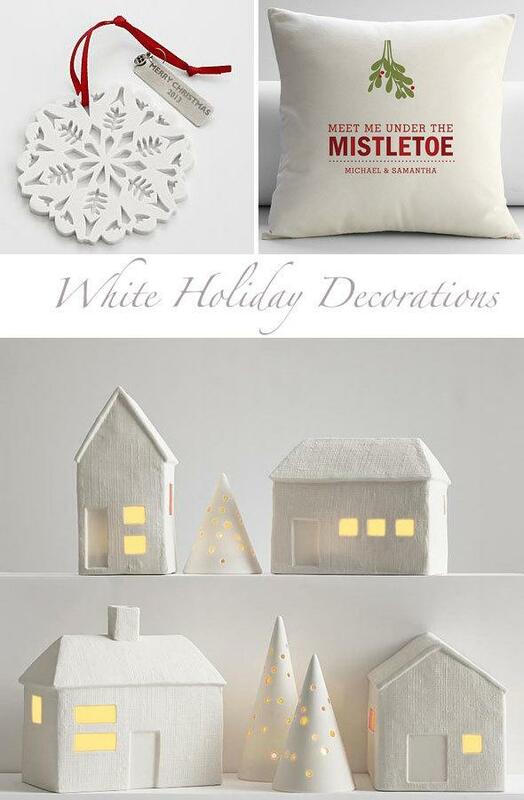 Wow, the dedication for all white Christmas décor! 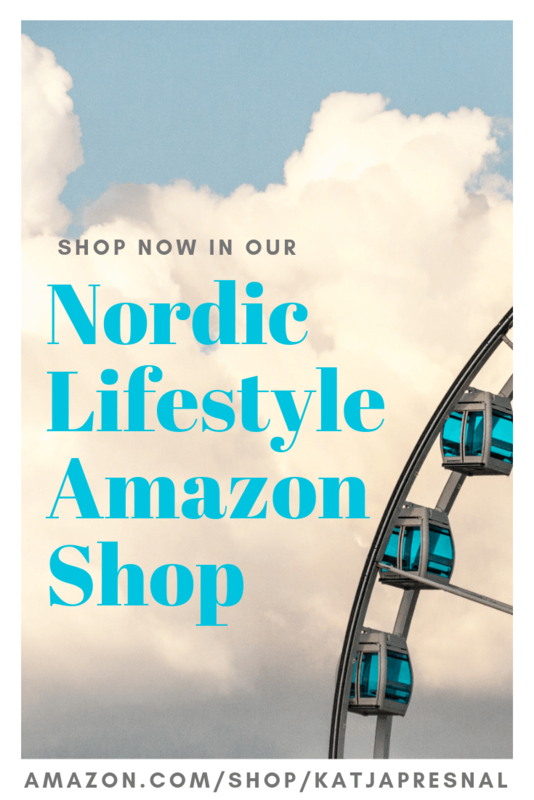 Noticed also the very mixed styles of shabby chic, with the Scandinavian star, and more contemporary dishes. All different styles, but all white, and it all just goes together. 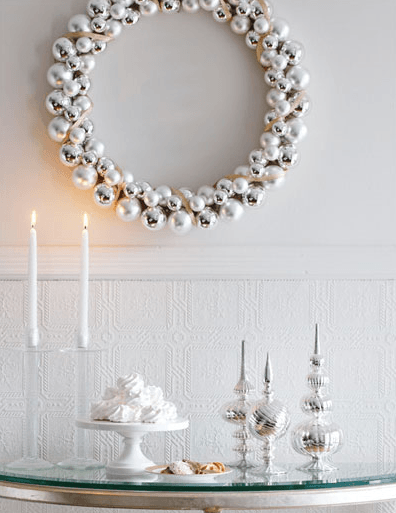 Don’t have many white Holiday decorations but still want to do white Christmas? 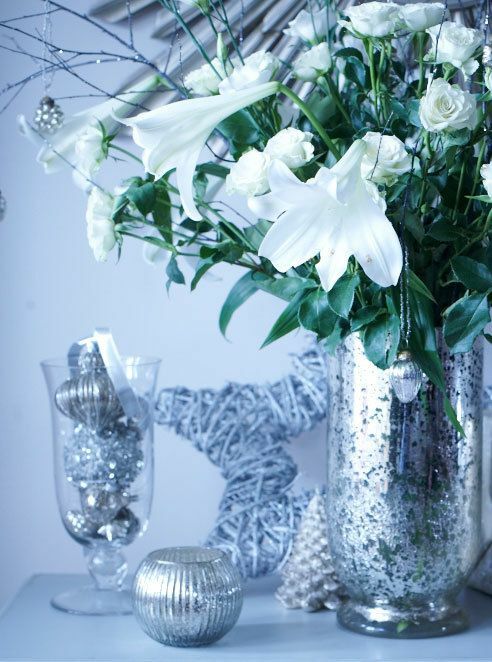 No worries, use silver instead and buy fresh white flowers to get the white look. 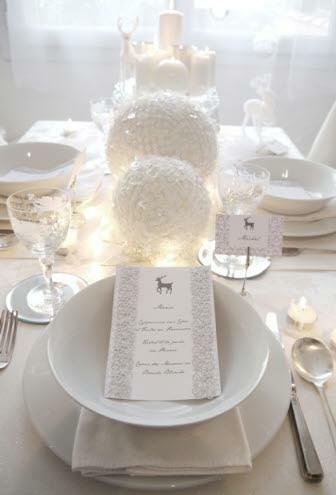 I love this all white table setting. The place cards and the cards are actually downloadable printables with adorable deers and you can purchase them at Bird’s Party. Another great example of combining silver and white. 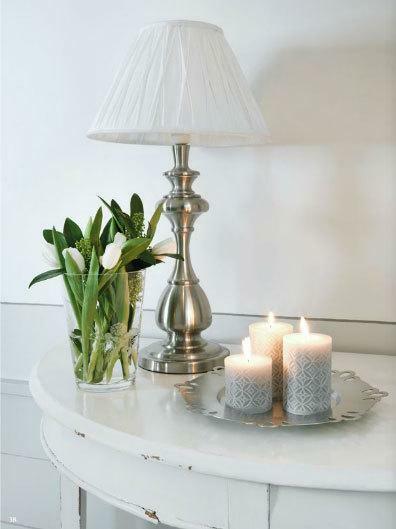 Here is an example of simplicity in traditional style, and just bringing in more white with candles and fresh cut flowers. 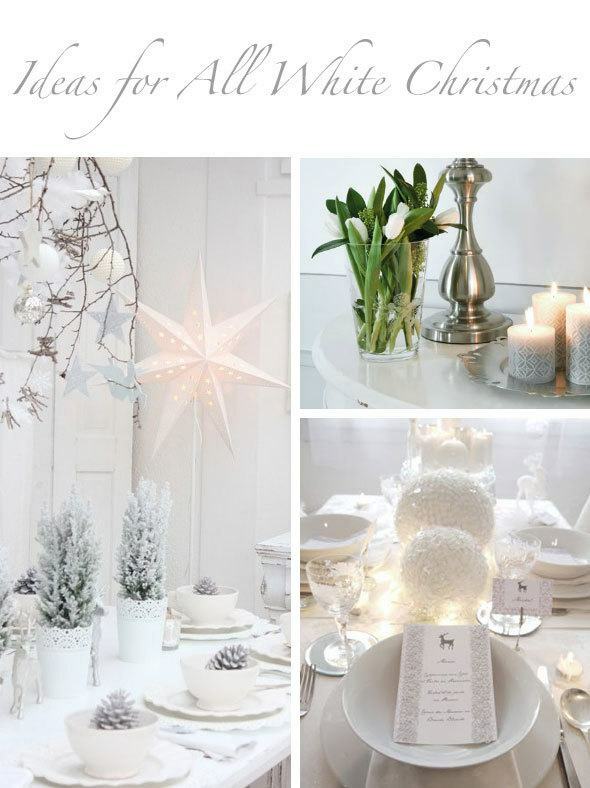 I just can’t get enough for looking for inspiration for white Holiday décor. 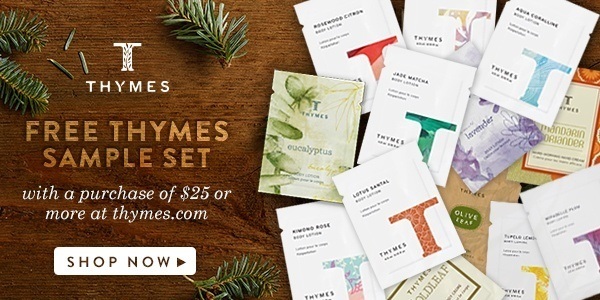 I love the simplicity of the above design, and this is the style we normally have in our home, however I want a little more for Christmas. 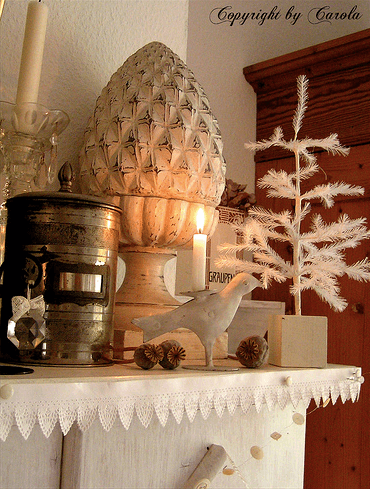 I have been admiring the branched pained white like in the picture below, and I think I have to use this idea in our home as well. I like the simplicity of it. 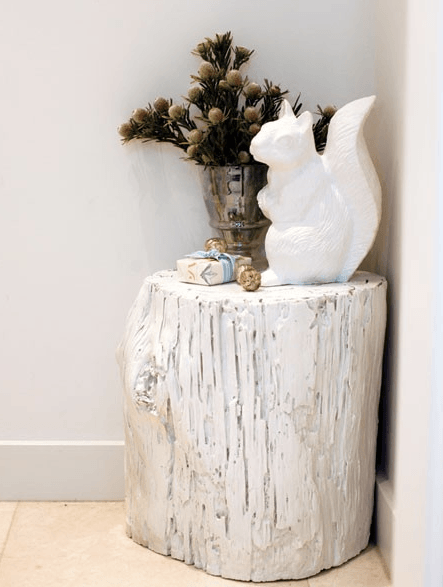 My son and I picked up some squirrel tree ornaments, and I would love to have this side table with the squirrel, so cute and playful, and very trendy right now. 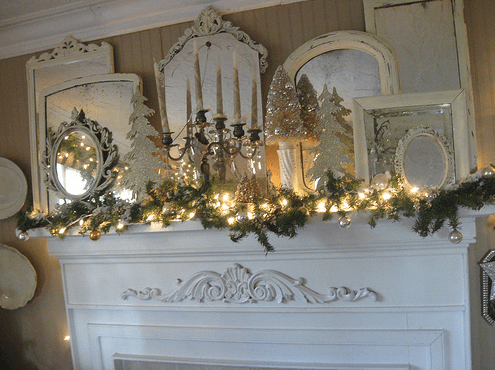 These mirrors in this mantel top are amazing, and this is a great idea especially for smaller spaces, the mirrors will make the room feel much larger. 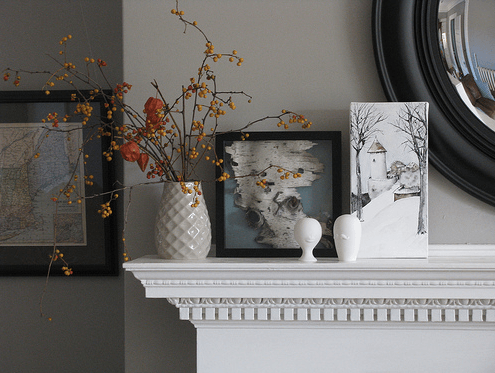 I like this white mix of items on this mantel – and it reminds me to go to flea markets to find some unique items to my white Christmas mantel. Ok, this is probably my dream Christmas home, but there is no way that I’d really be capable of this minimalism and not getting a big Christmas tree. 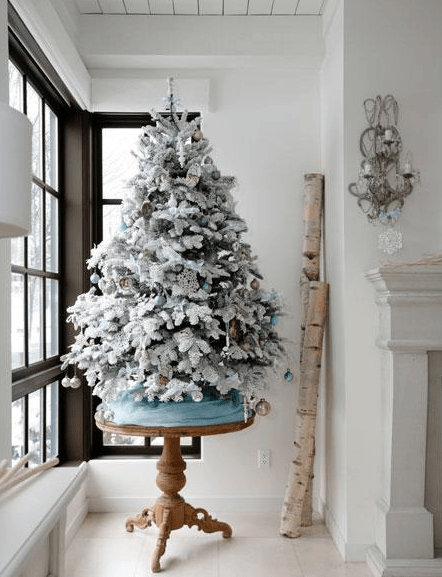 We’ve never had flocked Christmas tree, but I’d love to try it this year. I also love the birch logs in the corner of this room.